During the installer be sure to not change the default install directory. In future versions this will not be an issue. 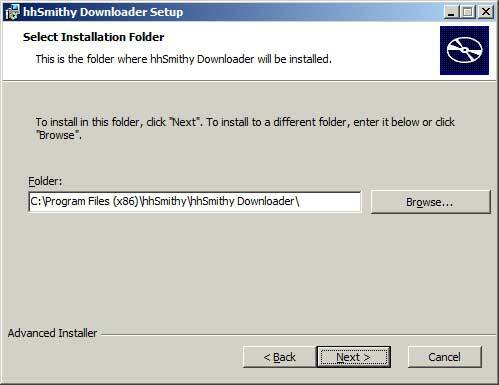 Once its installed run the program run the program from HHSmithy Downloader in Program Files or the desktop shortcut. It might patch but it will ask you if you want to set up your log in credentials. Hit yes. You will then need to input your HHSmithy log in email and password. Click test and if everything is working you should see the following image. If you don't make sure you are using the correct email and password combo and you have internet connectivity. If its still not working contact support. Thats it! 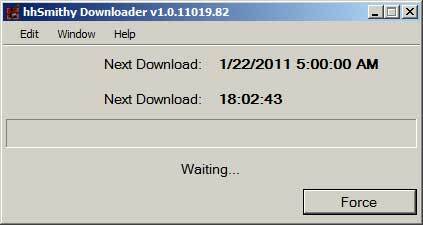 Minimize the program and it will minimize to the tray and wait til the scheduled download time. You can enable start with windows for even more convinience. Your hands will download and extract to My Documents\HHSmithy\ You can force a download at any time by clicking the force button. 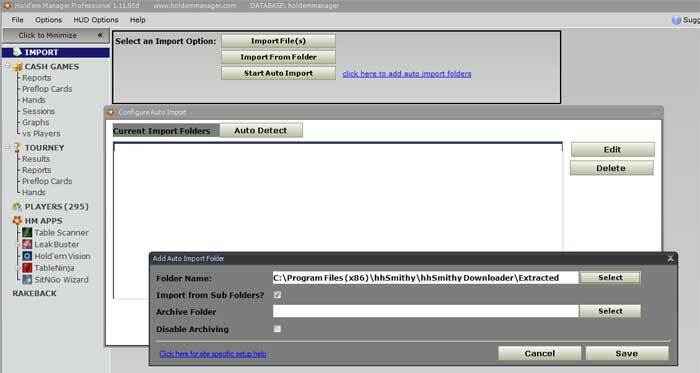 Configuring HM Auto Import Folders. Click the "click here to add auto import folders". Point the folder name to " My Documents\HHSmithy\ "
Make sure "import from subfolders is checked". We strongly recommend you configure an archive folder due to the volume of hands.